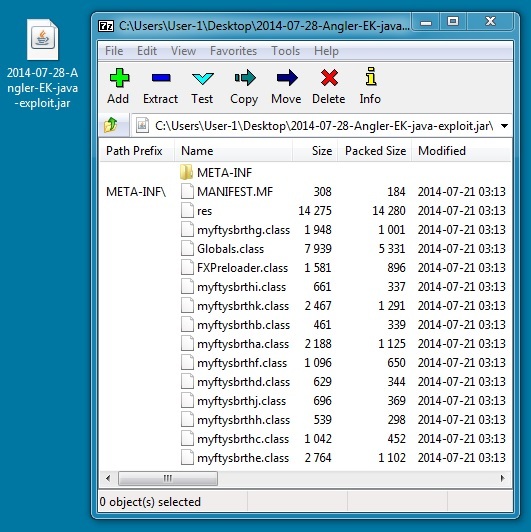 Typical traffic for Angler EK. 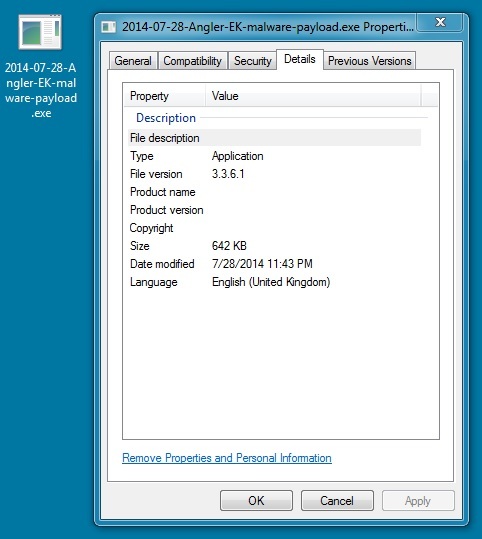 The Windows 7 sandbox analysis of the malware payload didn't reveal much. 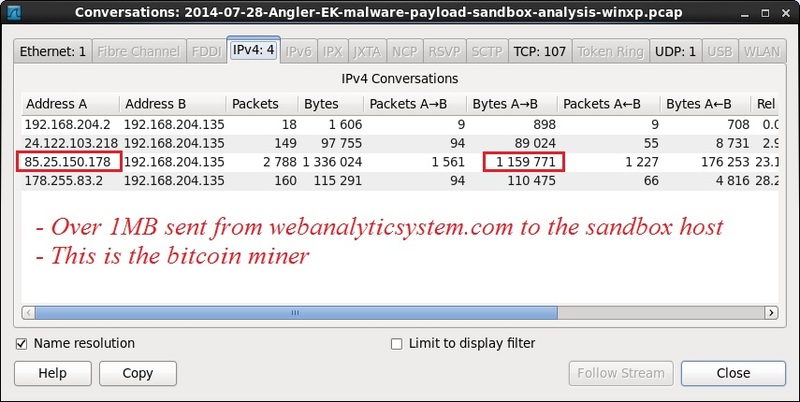 The Windows XP sandbox analysis triggered alerts for a Trojan.Win32.Qadars variant, and a bitcoin miner was installed on the sandbox VM. Also saw a DNS query to infowarsoft.biz that did not resolve.